Today, the global economy slows down, the growth of Chinese GDP declines, and many local governments carry out restrictions on car ownership. All of those result in a challenging external environment for automobile industry. Additionally, the frequent price wars squeeze profit margin. Both domestic and international car manufacturers spread to fight in low-end vehicle market. This is a much more competitive automobile market than ever. Automobile industry need to find its breakthrough, which can realize the transformation from traditional hardware manufacturers to high-value service providers. Thanks to the fast development of Internet, Big Data era is now coming. It has become the urgent needs for companies to apply business intelligence technology to gain consumer insight and to establish a customer-centric strategy. Through big data analytics, we can easily process data (whether it is structured, semi-structured, or unstructured data), integrate data, and transform them into massive information. The useful knowledge will effectively support management’s strategic decision. Automobile industry has the advantage of using Big Data and BI solutions. 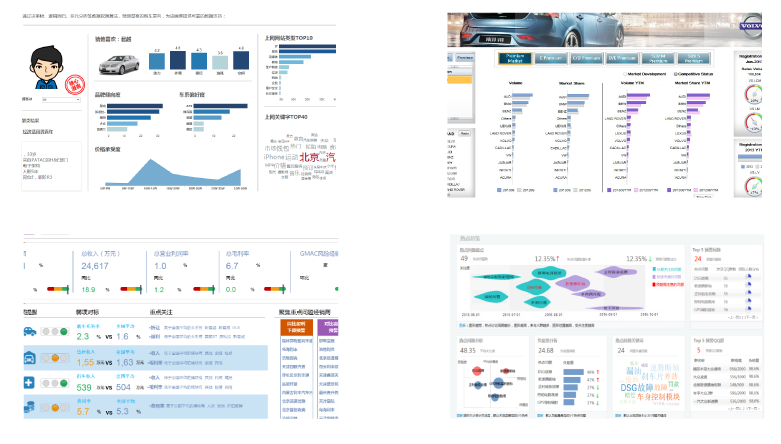 Big Data and BI technology can benefit automobile industry’s every business function, including operation, logistics, supply chains, finance, sales, marketing, supplier management and so on. Automobile manufacturers can rely BI technology to discover useful information from massive data. Case in point. In supplier management, BI can integrate all information (such as performance management, best practices, and communication), and realize the online access for stock, bills, sales, customer information and complete maintenance history. Besides, manufacturers can manage customer relationship through BI and learn what types, accessories or service specific customers are interested in through Internet and social media analysis. It is more precise to have insight into customers and provide personalized products and service. AAS focus on supporting our clients to handle industry’s vertical challenges. 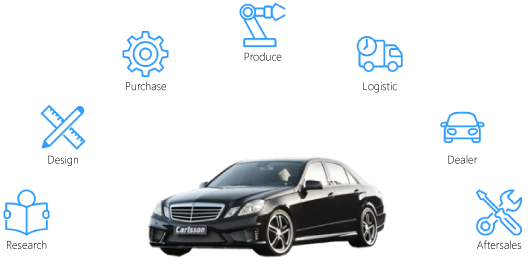 With our professional automobiles service team, we apply big data and BI to evaluate numerous and complex data. We help clients catch emerging market opportunities, improve prediction ability, enhance operation efficiency, overcome all the possible difficulties and challenges, and as a result improve the performance.